When Mohamed El Nounw stepped onto the practice field for the first time as South Mountain’s softball coach, one word embodied his ambitions for the program: develop. Success hasn’t come easy for the Jaguars in recent memory. Over the past five seasons, South Mountain has gone 3-87, among the worst records in the nation during that span. 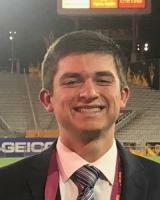 El Nounw has been at South Mountain for three seasons as an assistant football coach; however, this is his first season coaching softball at any level. Before El Nounw took the job, the sport’s future at South Mountain was in jeopardy. Just a few weeks into his new position, El Nounw has seen glimpses of hope in a once-depleted program. “When I took the job two weeks ago, we had about 14 to 15 girls cleared,” El Nounw said. “We now have more than 50 girls cleared and a couple managers. El Nounw will not cut any players this season, spreading the 50 players among the varsity and junior varsity squads. For years, keeping girls in the program has been an obstacle for the Jaguars. This season, however, South Mountain returns several seniors, providing much-needed leadership to a rebuilding group. “We have a couple seniors that came back this year to play, which will be really beneficial for us,” El Nounw said. One of those seniors, shortstop Nadia Torres, has dreams larger than this season — she hopes to play at the collegiate level. In spite of the program’s struggles during her career, Torres is confident South Mountain has prepared her well enough to earn a spot at the next level. As a junior, Torres hit .256 batting while contributing seven RBIs. Though most of South Mountain’s leadership will come from the upperclassmen, freshman catcher Alaianna Gomez is expected to become an everyday player. Her goal is to serve as a catalyst from day one. 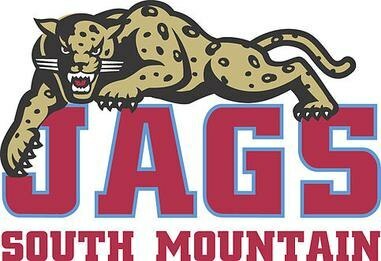 South Mountain has yet to play a game in the 2019 season, so it’s difficult to pinpoint the team’s strengths. But one thing has become evident to El Nounw through the first few weeks of practice — the girls positivity. Of South Mountain’s 18 defeats a year ago, 17 came by double digits. The worst deficit came on opening day in a 29-run loss to Trevor G. Browne High School. But El Nounw is hopeful the team will show more fight in his first year. “Our goal is to learn how to compete,” El Nounw said. “You look at the scores from the past, and they haven’t been very good. On Feb. 26, a new era of South Mountain softball begins. The Jaguars head across the valley to Casteel for a matchup with the Colts. Success in El Nounw’s first year isn’t guaranteed, but he has in place a blueprint to develop a competitive program.